When I got it from Tom I noticed a few wiring issues, so I called Spartan to see if I could get a chassis wiring diagram. I did get info on front and rear axles but they had no wiring info. Not much else out there on the Web either. The stop lights and brake lights worked but the running lights did not. If I jumped a power source to the tail light harness they all came on. Obviously a power supply issue. 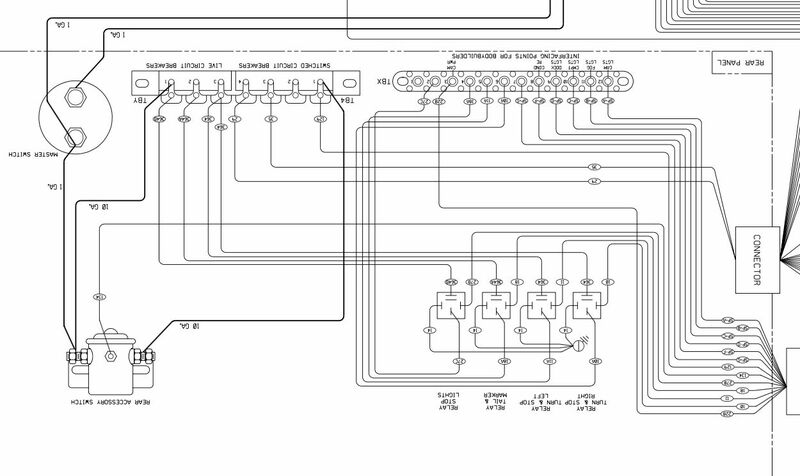 I did find a reference here to a 1993 Spartan wiring diagram so I decided to start with that. 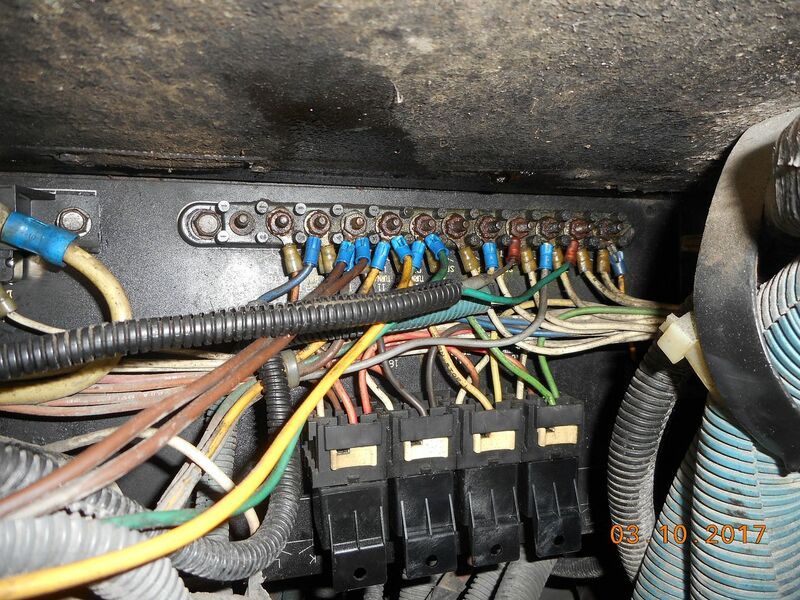 It shows a front panel with power busses and breakers. Sure enough my coach has that. Meanwhile, there is reference to a rear panel which powers the rear lights and engine accessories. After poking around and looking I found a rear panel above and behind the coach batteries, which are in the right rear corner of the coach. Sure enough, if you rotate the print and look at the panel there is a good match between print and panel. The wires to the lights all connect to the top of the panel. 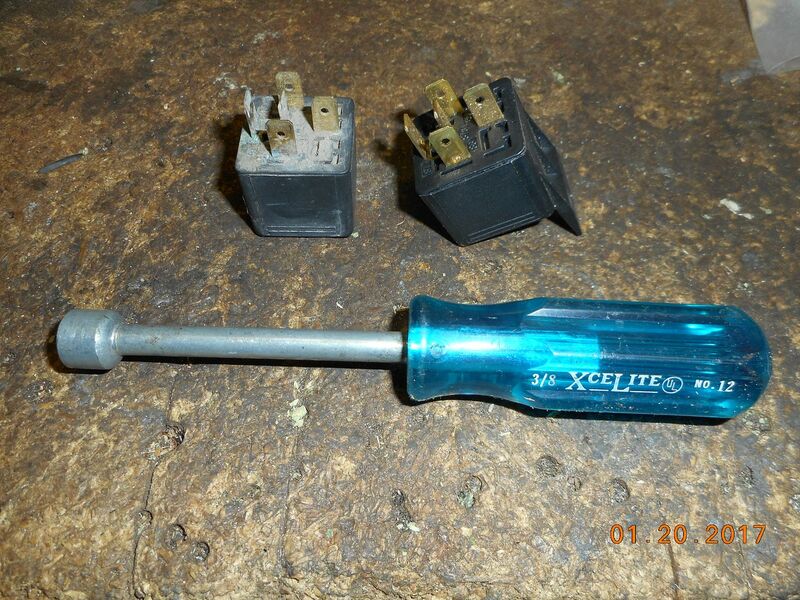 The connectors are rather corroded so were suspect. Meanwhile, to the left are the power busses and circuit breakers that power the rear circuits. Also, very corroded. I checked power at the busses. OK. Checked from breakers to relays. OK. Relays nothing comes out. Bingo. Replaced tail light relay. 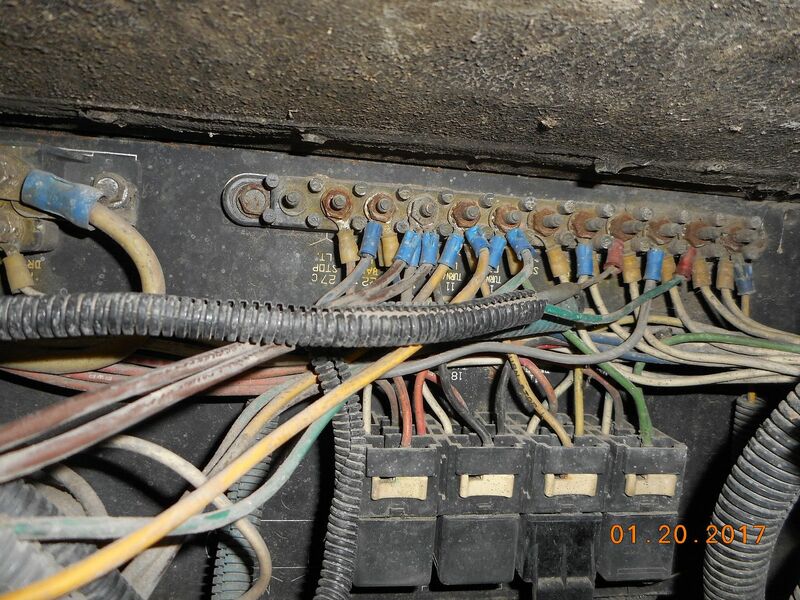 (It is a very standard style, one relay was already replaced it seems) Lights are now working and new trailer harness connector checks out also. So, the most valuable tool for electrical system diagnosis is not a fancy computer, or scan tool. It is a 3/8 inch nut driver to tighten all the connections in the panel. Some were 1/4 turn loose. 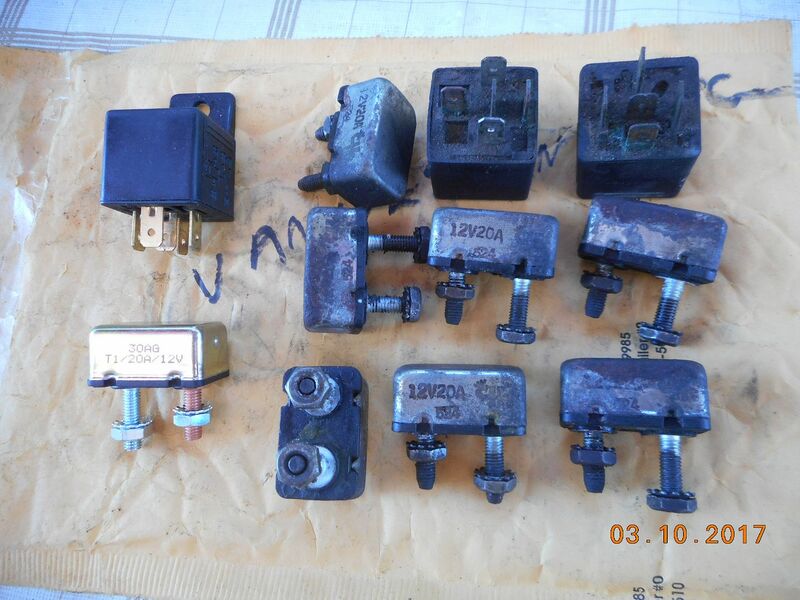 I will replace the other relays and the buss circuit breakers soon. Steve, I am amazed at the corrosion on all of those terminals. Was yours in a salty air environment? I am lucky, just a few ground strips on mine were bad. Spartan also used crappy "thru firewall" connectors which if exposed to the elements will corrode badly. Made it easy for Barth to make a "plug and play" box that would made with a ready chassis. Great find, now you will be on your way, enjoy! I am not sure where this thing has been. Tom stored it each year after his annual summer trip, a different place each time. I suspect the panel location is not the best choice. 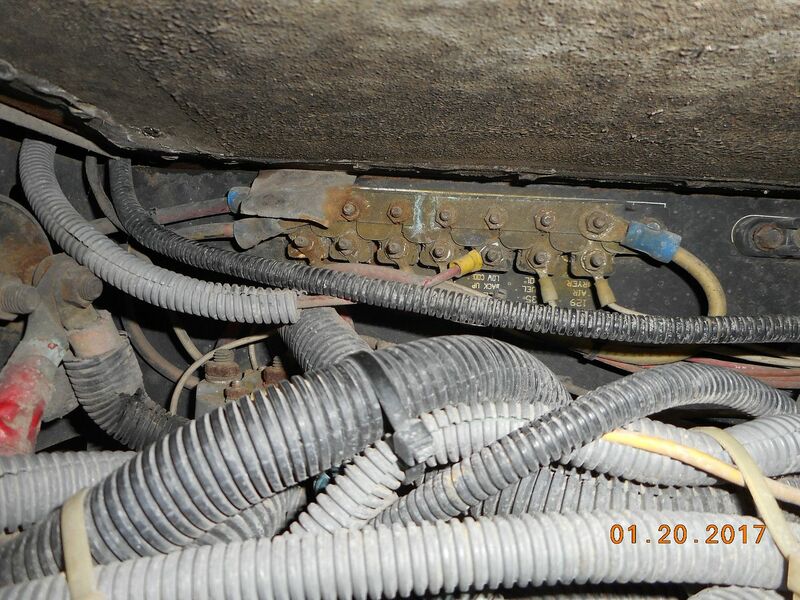 The panel is located in the same compartment and near the 4 coach batteries. The compartment is not sealed but it appears the acid gases from the batteries may have contributed to the corrosion near by. When I clean them up I will seal them a bit better. The only thing to check now is power to the cruise control. It does not work and is getting no power from the harness. This rear panel provides power to the engine harness, I think to the cruise as well. We should be leaving on Monday. Still very mild, 40's and some rain, looking good for our escape south. I had replaced 2 of those relays in the past. The location of that panel, over the batteries and behind the rear wheel was a bad location. If you have driven much you see just how much dirt gets tossed onto the coach batteries. I had loosened and snugged most of those some time in the past, but that may have been 8 years ago. Never been in salt water, but did some winter driving where they did salt the roads, and storage in Orlando 2 winters, desert or prairie other years. I did the same in the front compartment, but that has stayed very clean. Tom, I agree it is a poor location in the back. Still not that bad for a 20 year old coach. The dirt looks worse than it is. The front panel is clean but I did snug up a bunch of the connections. We are really pumped here, getting ready for the trip south. The weather completely reversed, snow stopped and above freezing. We have the heat on the coach for the last week. Liz is busy moving everything in. I will start a Florida 2017 thread soon. Can't wait. Had a similar problem with the relay controlling my running lights. The fix was simple as in yours just removed the relay and cleaned the contacts and put it back in and all worked fine. 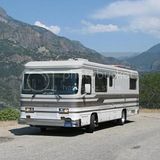 Have a great trip south and hope to see you folks the end of Feb. Hopefully we can get Danny & Suzy over for a little GTG. Things are too slow here on the site! I ordered some new relays and circuit breakers for the rear panel. Replaced seven 20 amp circuit beakers and three relays (the 4th relay is a spare for additional stop lamps.) I still need to clean up the terminal strip where the wires attach. Relays were about $5 and the circuit breakers were $2.50 so not much expense. A bit of a hassle to get to but should give me reliable service for a long time. I would also like to fashion a flap or shield to protect the area a bit better. Meanwhile I will redo the tail light harness connections and clean up the tail light sockets to finish the job. The upside down relays are dirt and water traps. I agree. The whole layout is a compromise. Battery fumes and road dirt get circulated all around. I will spray the connections with grease and try to get them covered better. I considered covering the tops of the relays with some foam to keep them clean... The front electrical panel is covered well and is much cleaner. I have only a few suspicious connections there. I still have some mystery wires to chase down before I know what everything is supposed to do. My master disconnect relays are not working and are probably unnecessary, I may do a major cleanup of the primary engine harnesses soon. 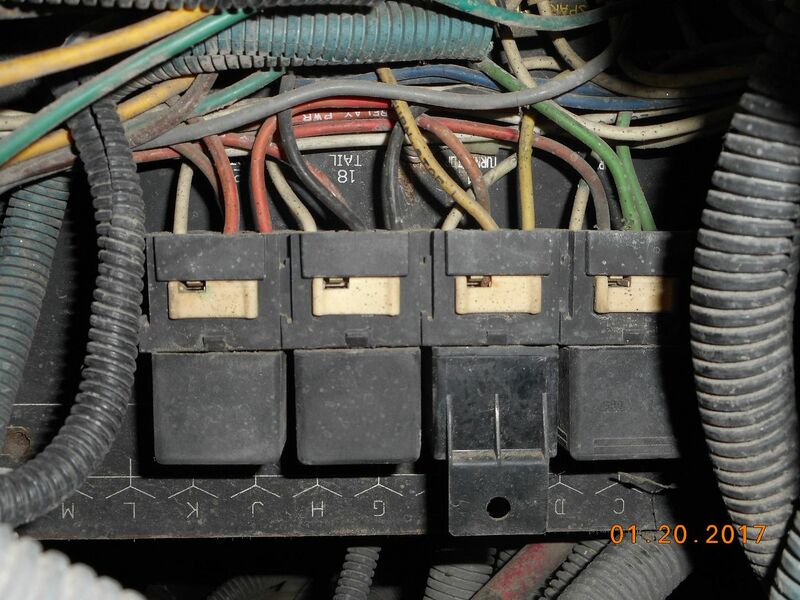 A suggestion to protect electrical circuits is to apply NO -OX.ID A SPECIAL compound. It is made by a company named Sanchem. It is used in the railroad industry on rail car connectors. Works as a coating and sealer to prevent water and other contamination. Great idea, Tom. I will check that stuff out, thanks. 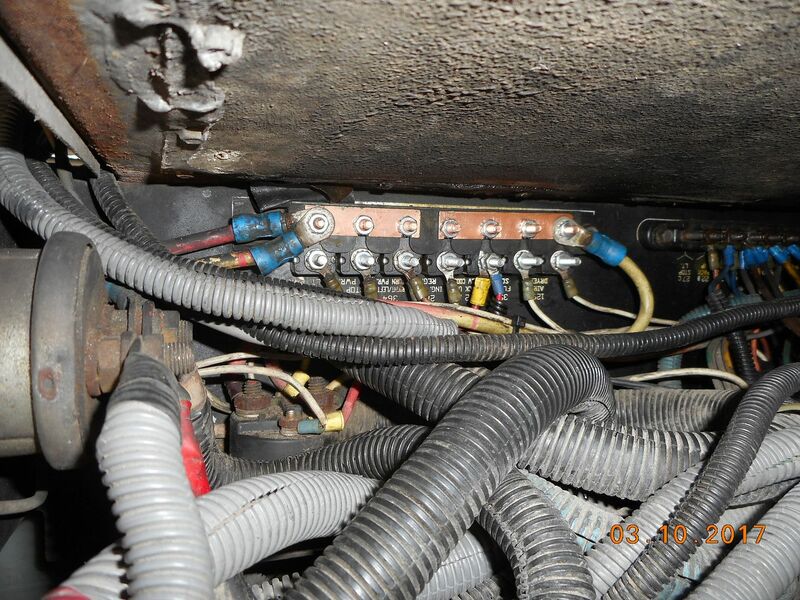 Where did you find the Spartan Motors wiring diagram 0659-GG5? All I'm able to find are uploaded JPGs that are too low resolution to read when you zoom in on them or try to print them in a large format. Having an electrical problem with an Allison MD3060 Transmission on a Spartan Chassis. Thanks! Bingo! 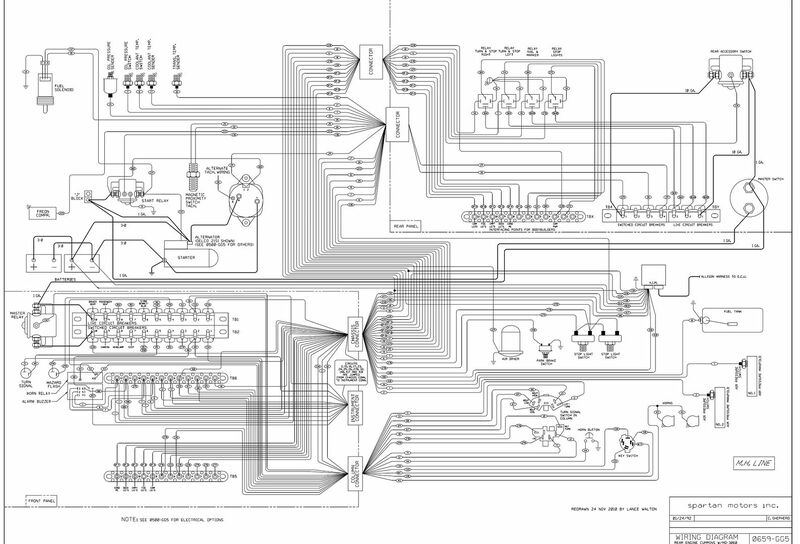 That is the best wiring diagram I have been able to find so far. Search around in those attachments for downloading, I think there is some stuff on Allison 3060 also. Good luck and welcome to the site. If you find more Spartan stuff let us know too!